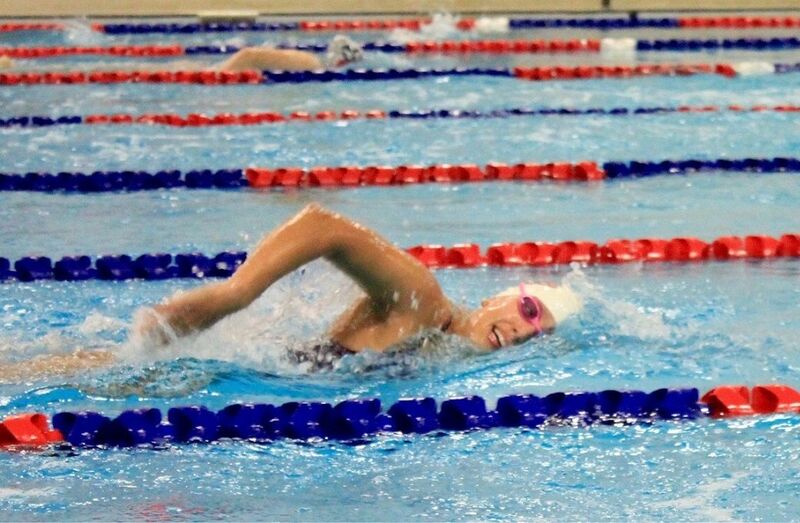 Brock University swimmer Lesley Ridsdale is special in ways far beyond her gait. 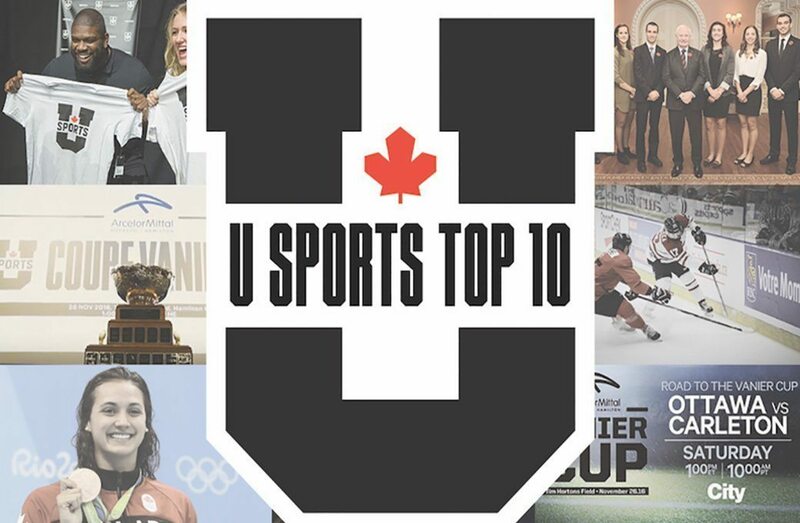 In the fall of 2011, Brock University swimmer Lesley Ridsdale was walking down a pool deck the same way she always has, on the ball of her right foot, and toe of her left. When Kristy Lyon, coach of Ridsdale’s swim club the Huron Hurricanes, stepped on deck that day, the two had never met. After Lyon saw her toe walking, the first thought she had was that Ridsdale had potential to succeed in para swimming. That same day, Lyon realized Ridsdale is special in ways far beyond her gait. Her positive attitude, selfless nature, and boisterous personality make Ridsdale unique and unlike anyone Lyon has ever coached, and not just because she walks funny. Born and raised in Goderich, Ont., Ridsdale learned to swim because her mom, Bernice, didn’t let any of her three kids go down to the lake near their home alone until they’d taken swimming lessons at the local YMCA. Lesley got her star five at the YMCA, and continued swimming recreationally with the YMCA Storm. When she was 12, she graduated from the Storm program, and moved onto the club level with the Hurricanes based in her hometown, staying in recreational rather than joining the competitive stream. A conventional hip is a ball and socket joint. The ball at the upper end of the thigh bone, fits firmly into the socket in the hip. In Lesley’s case, her socket was missing a piece, and the ball kept falling out. Doctors fixed her hip by moving the ball up and forcing it into place. This created a five-inch difference between her legs, forcing Lesley to develop her toe walk. Despite their daughter’s unusual gait, Bernice and her husband Dan, raised Lesley to think she was able-bodied and not disabled. A lot of children would have struggled with thinking they were normal while walking so different. But Lesley unique attitude made it easy for her to buy into her parents’ logic. When her parents were first exposed to the opportunity of Lesley competing as a para swimmer during her Storm years, they turned it down. Lesley continued swimming recreationally early through her teens, racing at a couple meets, but never moving to competitive. Bernice was unwilling to foot the bill required to move to the next level and Lesley was happy just being in the water. The fact swimming was low impact on her hip was an added bonus. When she reached high school, Lesley gave up swimming to focus on her other passion in life - the dramatic arts. Just like the pool, the theatre is a place she considers her comfort zone. The battle between her love for the water and passion for theatre was one that would resurface. The two things she loves most require evening commitments and Lesley would find it difficult to do both. In 2011 with Lyon coaching the Hurricanes, Lesley returned to recreational swimming. Knowing Bernice and Dan’s view on the word ‘disabled’ being applied to their daughter, Lyon waited a few months and got to know Lesley better, before approaching her about the opportunities available to her as a para swimmer. There was only one problem. How can someone whose parents have told them their entire life she isn’t disabled, suddenly start swimming in the para category? Despite walking with a noticeable limp, Lesley says her pain in high school wasn’t near the level it is at today - she now requires a cane to walk, and struggles with long distances. Lesley’s discomfort not being as prevalent, along with the attitude her parents instilled in her since day one - that she was as able-bodied as anyone - made hearing she had opportunities available to her because she was disabled, difficult to process. The last hurdle was getting Bernice and Dan to agree to Lesley making a go at para swimming. Her parents have always been supportive of everything she’s done and when they met Lyon and realized how great of a coach and person she was, they were sold on the idea. Lyon and Lesley drove two and a half hours to Milton, Ont., for Lesley to undergo a physical examination – a classification process that was a weekend event. There would be a lot more paperwork and research needed on Lyon’s part to understand what was necessary to get Lesley classified; a tall task made easier because of her character. A year went by before Lesley saw serious results as a para swimmer. She began qualifying for regional and provincial championship meets. But there was something she couldn’t quite come to terms with. 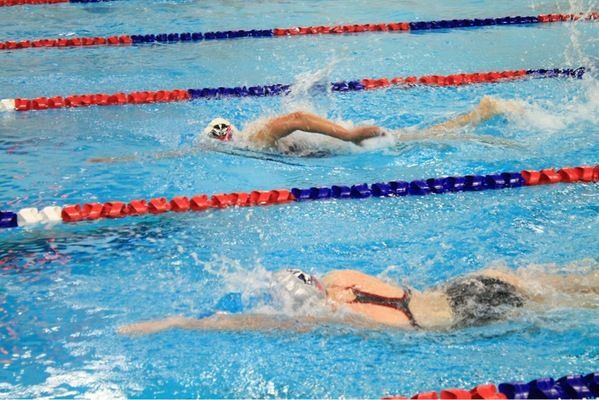 In practice, she was swimming the same speed as her able-bodied friends, who weren’t making regionals or provincials. After a fifth year of high school, Lesley decided to attend Brock for dramatic arts. She wanted to keep swimming and approached head swimming coach Peter Bradstreet about what she had to do to get on the team. With no para swimming in U SPORTS, Bradstreet told Lesley she’d have to keep up with the training requirements of the team, but would be given a break on meeting the time standards. From the moment she joined, Lesley has been an important member of the Badgers. She doesn’t contribute many overall points, but her attitude is contagious at practice. Rachel Nogard, a fourth-year concurrent education major, and Lesley’s teammate with Brock for the last three years, says her presence can’t be replicated. Unable to compete at the U SPORTS level as a para swimmer, Lesley focused on qualifying for the 2015 Para Pan Am games in Toronto. To do so meant she had to undergo a more evolved and rigorous international classification process. In March 2015, Bradstreet drove Lesley to the trials in Markham, Ont. Lesley, her family, and friends were enthusiastic. No one was prepared for what came next. At the trials, Lesley was declassified as an S10 swimmer, deemed too able-bodied to compete. She didn’t fit the classification standards available. Her legs are similar in length and there was no category for difference in height between hip joints. She was deemed disabled, but not in the right way – a harsh reality. Her career had come full circle. She’d gone from an able-bodied swimmer, to accepting her disability and the opportunities it provided, to having it taken away, just as she was reaching the highest level of her career. Other athletes faced with similar circumstances would have folded, and perhaps fallen out of love with sport; but not Lesley. With support from her Brock teammates pouring in via email, text messages, and Facebook, Lesley stayed at the trials and competed, even though her results wouldn’t count for anything. Processing everything that happened in Markham was difficult for Lesley. At the same time, she was being declassified, she was also in the most pain of her life. In April 2015, Lesley started using a cane to walk. Her hip joint had worn down to the point where bone was rubbing on bone, and the pain was unbearable. The following season, her second at Brock, was tough. She was struggling to remain motivated, and interested in swimming. Then at the OUA Championship, she made a best time, and has fallen back in love with swimming. Now in her third-year at Brock, Lesley is faced with another difficult decision. Drama students dedicate huge amounts of time to rehearsal and performances, the same way swimmers do with practice. She’s getting surgery in May to replace her damaged hip. This will be the fourth of her life, and hopefully her final operation. It won’t be advisable to continue swimming 20 hours a week with her surgically-repaired hip. Along with the demanding requirements of her program, means this will likely be Lesley’s last season as a competitive swimmer. Even though she won’t be competing after this season, Lesley will always be drawn to the pool. Swimming has been with her all her life, and the water is a place she feels at home. “I think Lesley will always be in the pool,” says her mother Bernice. “When you start young it’s with you for life. She will always know there is a comfort zone in the pool. The people are the number one thing Lesley will miss about swimming. They have been such a huge part of her life, and she’ll be sad to leave them behind. The swimming community has been gifted with the uplifting presence of Lesley Ridsdale the last couple of years. When she leaves, there will be a hole on the Badgers, one that will be difficult to fill. But the pool is where Lesley feels at home, and she’ll be back. She’ll never stop being a mermaid.